Men, you need to understand that when the Bible speaks to submission on the wife’s part, you need to take the entire dynamic of Scripture into consideration with regards to this topic. I guess the real question is, “Wives, why wouldn’t you be willing to be submissive if your spouse was fulfilling his role and modeling God’s love to you?” Ah, there’s the rub. Submission probably wouldn’t even be an issue if everyone were fulfilling their roles. Did you notice? Men are equally bound by submission. In fact, submission begins with the husband by virtue of his role. Paul states in Ephesians 5:1-2, “Be imitators of God, therefore, as dearly loved children and live a life of love, just as Christ loved us and gave himself up for us as a fragrant offering and sacrifice to God.” He continues his thought in verse 21, “Submit to one another out of reverence for Christ.” The evidence displayed by our Savior through his selfless sacrifice exemplifies his love for us. The husband is called to honor God out of respect for who he is and by merit of his title, creator of all things and designer of life. This is a foundation for reverence as denoted in the above scripture. His is the example to follow as demonstrated in the life of Jesus Christ. 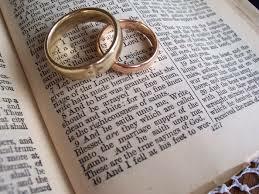 Men, are you demonstrating submission to your spouse by your relationship with God? Do you lead your household as a Godly example? What are some efforts that need to be made in displaying obedience to Christ?